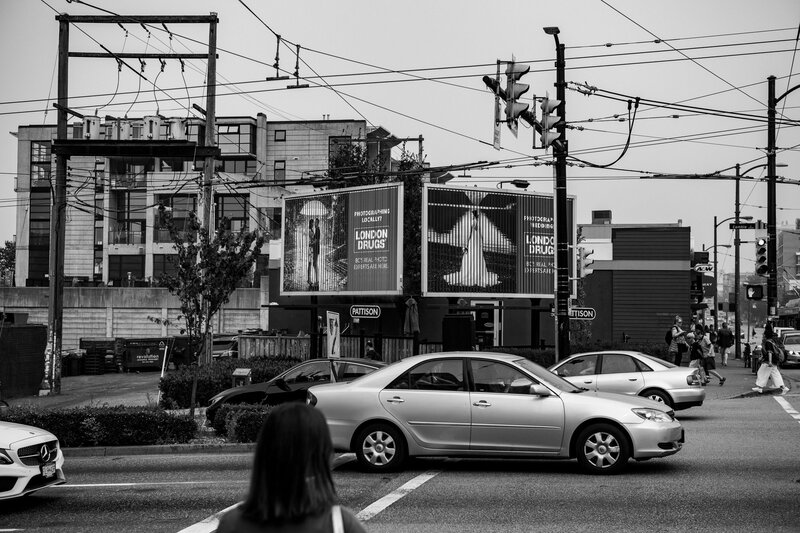 Some of you Vancouver locals may have recognized in the past few months, some familiar photos being displayed on giant billboards, bus shelters and more around downtown. That was us! 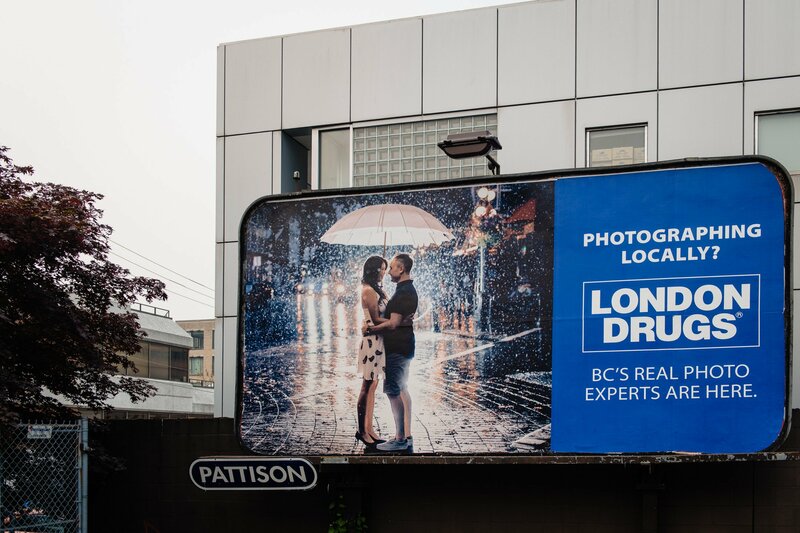 We were approached by London Drugs to use a couple of our photos as part of a local campaign showcasing their professional photography department. 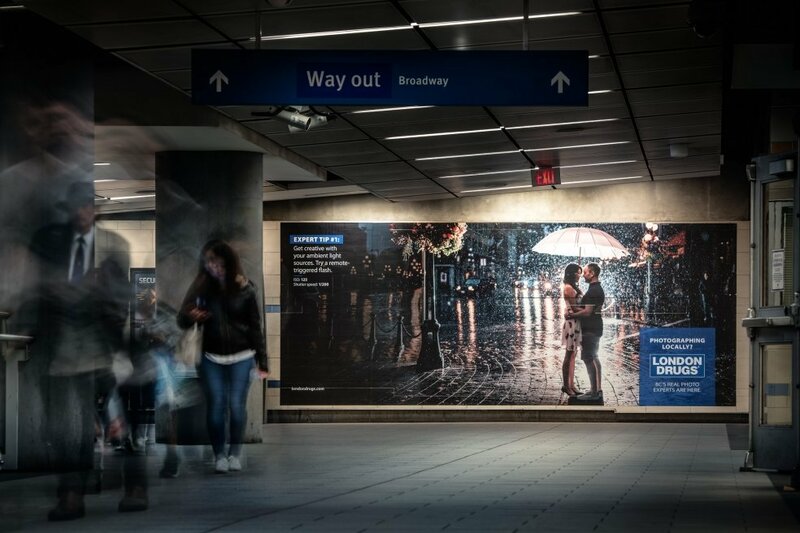 We shop there often for a lot of our professional photography gear, so we were pretty thrilled about being a part of this campaign! 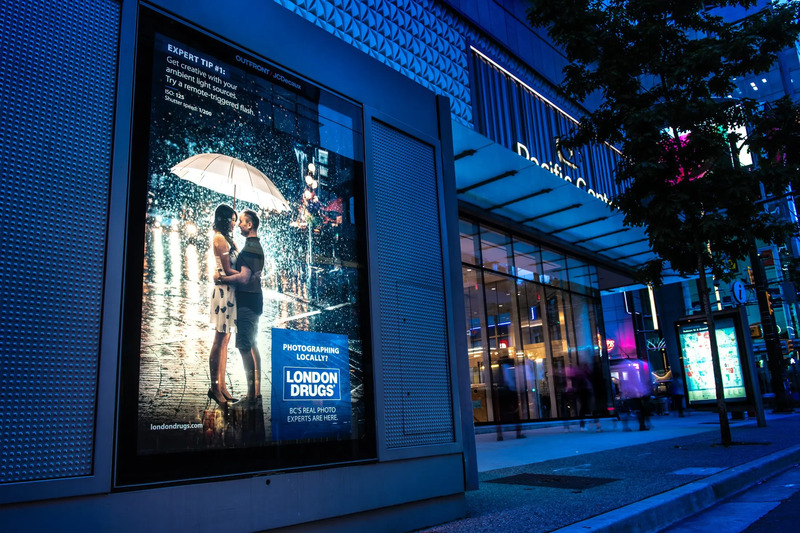 When the campaign launched, it was really exciting to see the ads being showcased in some of the most prominent Vancouver locations in high traffic areas. 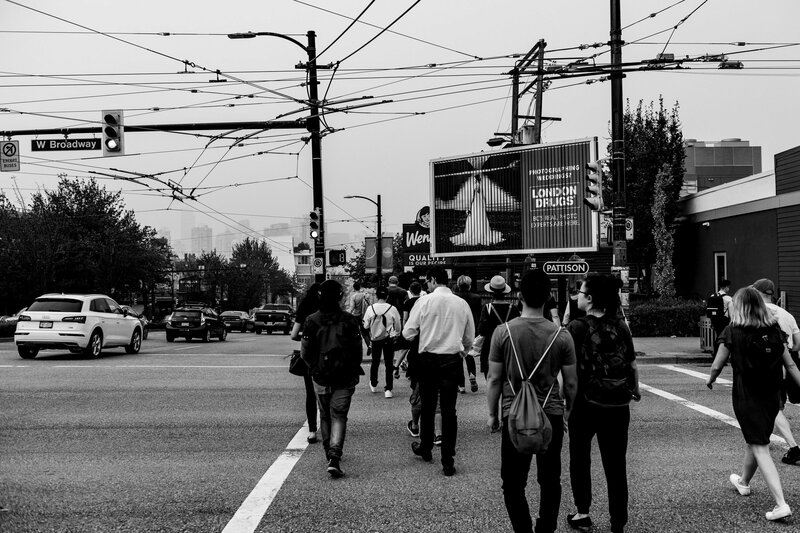 We had friends, clients, fellow photographers and followers, let us know they just saw our photos on the side of a bus, skytrain station, bus stop or a billboard. 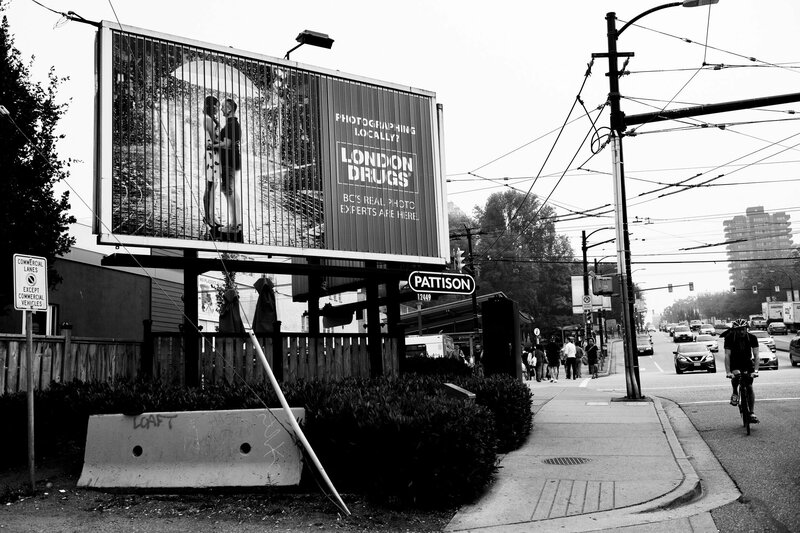 It was fun to hear so many people were seeing the ads, and also recognizing our work! 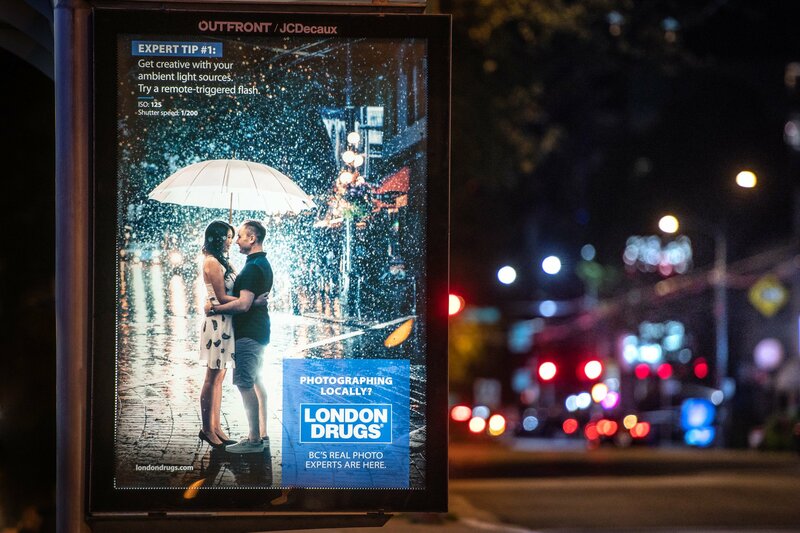 We always think photos look best in print. 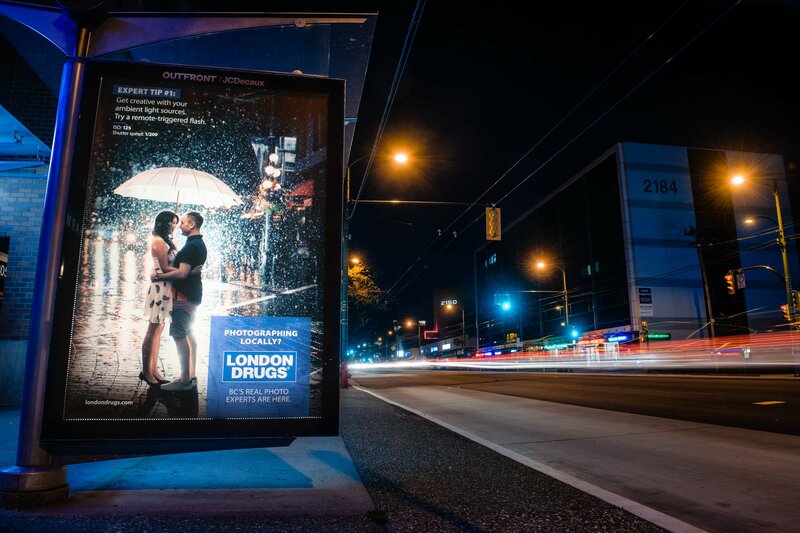 It was pretty surreal to see our photos printed about 40 feet wide, and see the colours pop on the backlit bus shelters. One of the most impressive billboard displays was at the Broadway – City Hall Skytrain station, with a huge 7 foot high printed wall of our rain photo in Gastown. 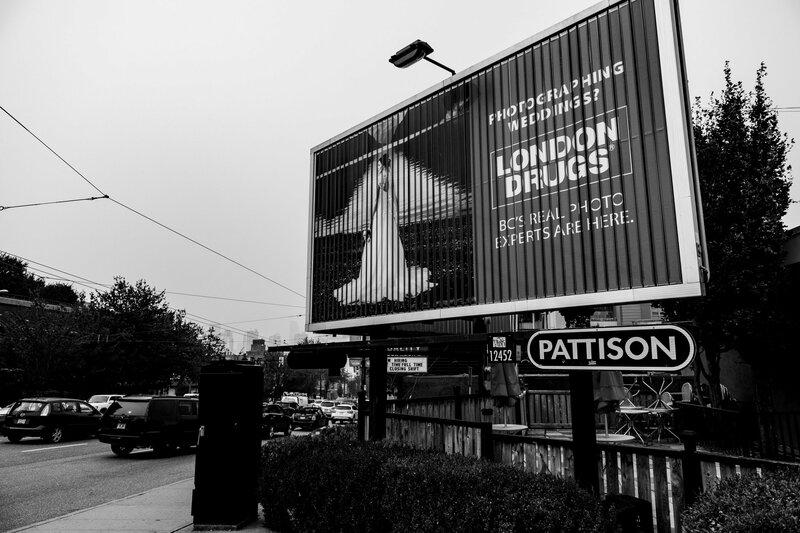 It’s really wild to see our photos blown up so massive! This was a very cool opportunity, and it felt like a really big accomplishment to see the photos in such big print format.